Sam is a specialist children law practitioner with over 23 years’ experience of a very broad range of both public and private law proceedings. Sam has represented Local Authorities, parents, family members and children in highly complex public law matters, notably involving very serious injuries to children. Sam has a particular interest in non-accidental head injury/shaking injuries in infants, where the consideration of complex medical evidence arises. Sam regularly represents young people who are competent to give instructions in their own right. Recently, Sam has represented a subject young person with ASD in public law proceedings who, with special measures in place, attended at court every day and participated actively throughout his final hearing. In addition, in a recently reported matter, Sam has also represented an 18 year old seeking to be adopted. Samantha undertakes all aspects of private law work, acting for parents and for separately represented children. 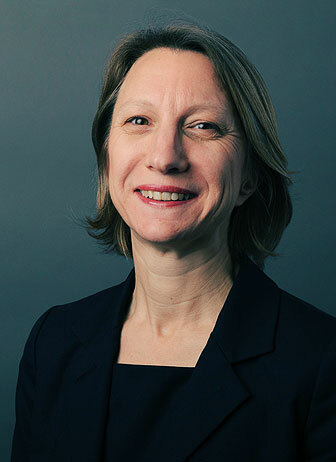 Her work includes relocation cases (both within the jurisdiction and overseas) and cases involving the litigation of serious allegations of domestic abuse or child sexual abuse within the private law sphere. Samantha undertakes complex public law matters for local authorities, parents and children. In recent years, Samantha has increasingly developed a specialism in representing children who are competent to give instructions in their own right. Samantha has a particular interest in cases involving disputed non-accidental injuries and complex medical evidence. Non-accidental head injury case involving infant presenting with SDH alone (and unexplained unresponsive episodes). Sam acted for Mother, led by Sam Momtaz QC. Key issues within the case – import of allowing oral evidence from treating medical practitioners n this case a highly qualified Safeguarding Lead Paediatrician and Neurologist from GOSH. Case specific need to consider highly complex haematological evidence given material medial history. Deprivation of Liberty case – Sam represented 15 year old subject of application by Local Authority for a DOL order under the inherent jurisdiction of the High Court. Matter involved a young person caught up in violent gang activity. Care proceedings (final hearing) Sam acted for 16 year old subject child with ASD who was competent and directly instructed his Solicitor in proceedings. With special measures in place, he came to court for much of the final hearing and fully participated in proceedings – opposing LA application. Sam visited him in foster care pre-hearing to take final instructions and advise re court process. Care proceedings – Local authority – Duty to inform and consult parent – Application.